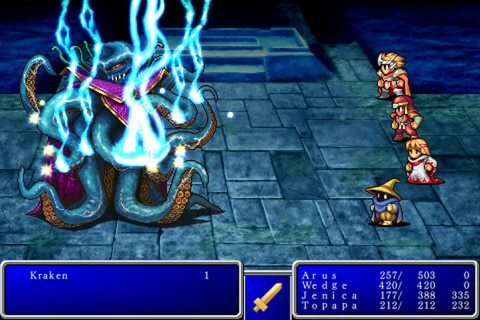 Yesterday Joystiq reported that Square Enix plans to bring Final Fantasy V to iOS and Android devices in Japan later this month. When approached about a western release for Final Fantasy V, a Square Enix representative reportedly told Joystiq, “We don’t comment on rumor or speculation.” So you’ll just have to be happy w/ the first four titles for now. However, Square Enix IS celebrating the upcoming launch by dropping the price of the first four FINAL FANTASY iOS titles worldwide. While I’ve never played a single FINAL FANTASY game, I know these are popular (and expensive), so if you’ve had these on your wishlist for a while, now may be the time to bite.